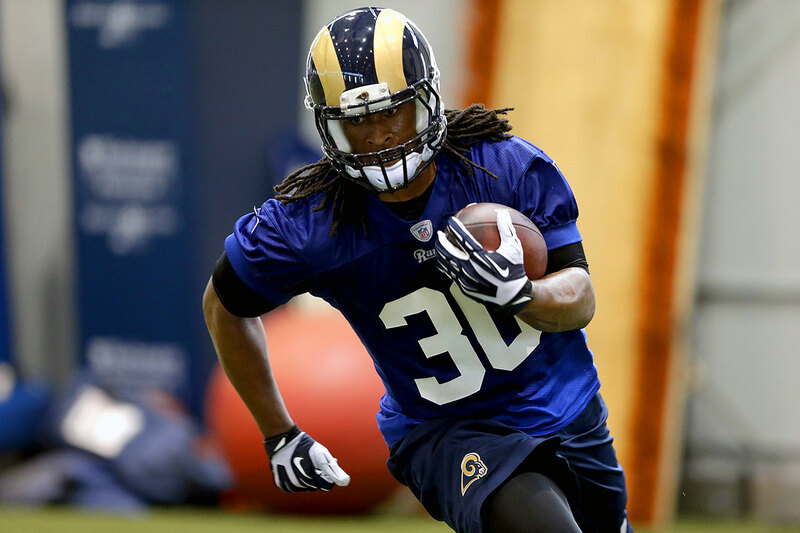 Should you wait out Todd Gurley's rehab? 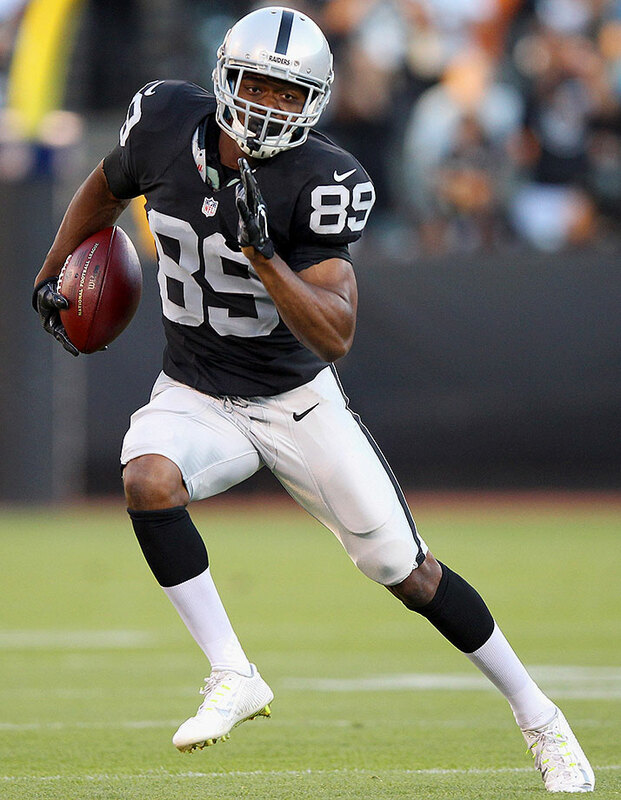 Is Amari Cooper the real deal? 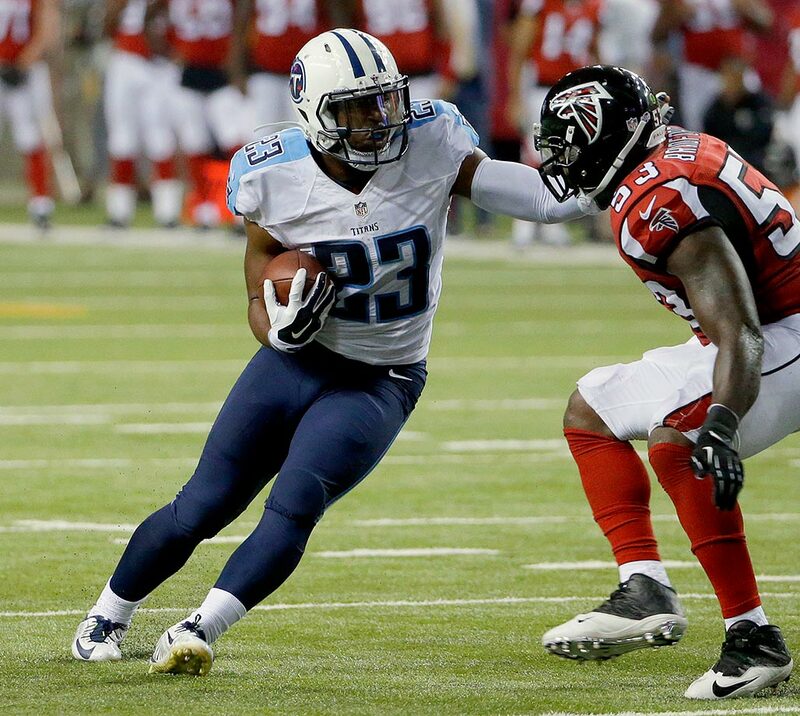 Breaking down the rookies worth monitoring as your fantasy draft approaches. The temptation to ride the hype train of the league's top rookies is always prevalent. Sometimes, as was the case with Odell Beckham Jr. last year, everything falls into place and you look like a genius for nabbing the best receiver in the league late in your draft. Other times, like with the highly touted Bishop Sankey last year, the rookie sings a siren song, seducing, and then deceiving. Three years ago, it was rookie quarterbacks who stole the stage. Andrew Luck, Robert Griffin III and Russell Wilson all turned in stellar rookie years. In 2014, it was running backs Le’Veon Bell and Eddie Lacy, both second-round picks in real life, who were fantasy’s best rookies, and are now consensus first-round picks. Last season, the rookie wide receivers redefined what it meant to be an elite class, led by Beckham, Mike Evans and Kelvin Benjamin. Which rookies should fantasy owners be monitoring ahead of 2015? Find out below. Gurley became the first back in three years to be selected in the first round of the NFL draft when the Rams made him the 12th overall pick back in late April. Unlike many of the backs who came after him, Gurley, who is still recovering from a torn ACL suffered during his last season at Georgia, is unlikely to be on the field Week 1 and could end up missing a couple of games at the start of the season. That’s why his ceiling isn’t nearly as high as Gordon’s or Abdullah’s. While there are still reasons to go after Gurley, I’d caution restraint unless you can get him at a meaningful discount. The 21-year-old undoubtedly put together a phenomenal college career. In three seasons, he ran for 3,285 yards and 36 touchdowns, while adding 65 catches for 615 yards and six more scores across 30 games. Last year, however, was not the only one in which he dealt with injury. An ankle injury cost him three games in 2013. Gurley may be a big back at 6’1” and 227 pounds, but his injury track record leaves plenty of question marks. Don’t forget the situation Gurley enters in St. Louis. While the Rams have a strong defense and a new quarterback in Nick Foles, it’s hard to say they harbor realistic Super Bowl expectations this season. The team didn’t invest a first-round pick in a running back coming off a significant knee injury so they could run him into the ground during his rookie season. Remember, Gurley didn’t tear the ACL until mid-November, meaning he’ll be just 10 months removed from the injury when the Rams take on the Seahawks in their season opener. On top of that, Tre Mason played well once the Rams finally gave him a chance in his rookie season, running for 765 yards and four touchdowns on 179 carries. The Rams have no reason to rush Gurley back, or ride him too hard once he is on the field. He may be a star in the future, but don’t expect it to come together this year. No one should be expecting this season’s rookie receivers to come anywhere near what Beckham, Evans and the rest of 2014's rookies. 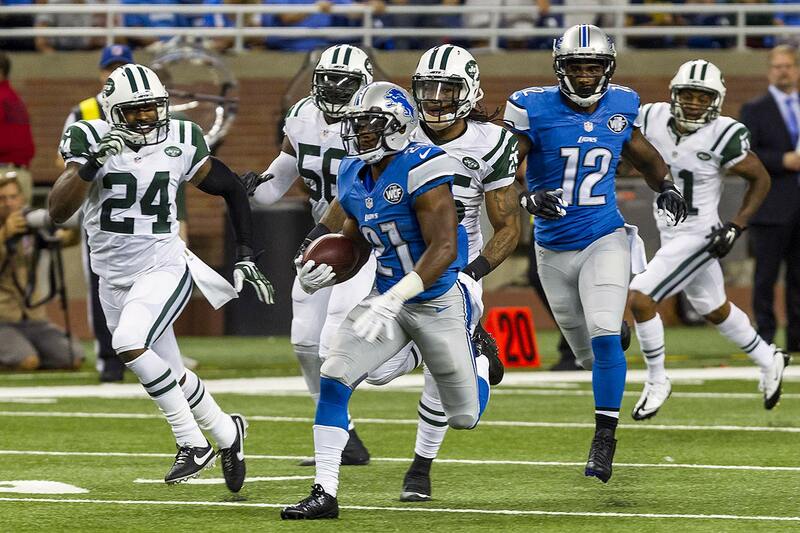 But if one receiver can replicate the accomplishments of last year’s class, Cooper is the guy. All Cooper did in his last season at Alabama was catch 127 passes for 1,727 yards and 16 touchdowns. He had three 200-yard games, including a 224-yard, three-touchdown performance in the Iron Bowl victory over Auburn. He ran a 4.42-second 40-yard dash at the combine, but where he really excelled was in the agility drills. That agility plays into his precise route running and has helped fueled comparisons to Marvin Harrison. Cooper does everything the great ones do. Watch him high point this ball against Florida. He had 10 receptions for 201 yards and three scores in that game. Here he is selling a corner route and coming back to the post for a huge gain against then-No. 1 Mississippi State. This sort of footwork isn’t typical for a college receiver. Agholor, another first-round receiver, landed in Philadelphia with the 20th pick, profiting from being close to but not quite the best at his position in the class. If Cooper were an Eagle, he’d easily have a consensus ranking inside the top 20, if not the top 15, at the position. 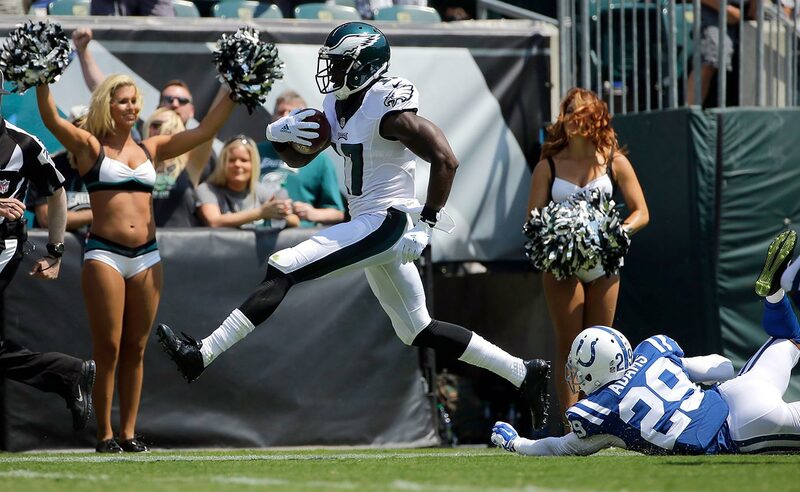 Instead, it’s Agholor who will get to play in Chip Kelly’s offense. Agholor currently has an average draft position that places him in the middle of the seventh round of a 12-team league, which reflects a bet on both Agholor individually and the vaunted offense around him. ​Agholor was electric in his final season at USC, hauling in 104 passes for 1,313 yards and 12 touchdowns. He was also a great punt returner during his time with the Trojans, taking a pair back to the house in each of the last two years. The Eagles fully expect him to start alongside Jordan Matthews, and in just the second week of training camp he started to wrest reps from Josh Huff. That’s great news for a rookie in his first camp. Scouts questioned his strength during the combine, and many see him as a slot receiver rather than someone who can line up outside the numbers on every play. That’s something to keep an eye on during the Eagles’ preseason games. If Agholor shows more speed or strength than we’re expecting, he’d be worth bumping up your draft boards. If he doesn’t, he belongs outside the top 40 at the position. He does get a slight uptick in value thanks to his punt returning duties with the Eagles. 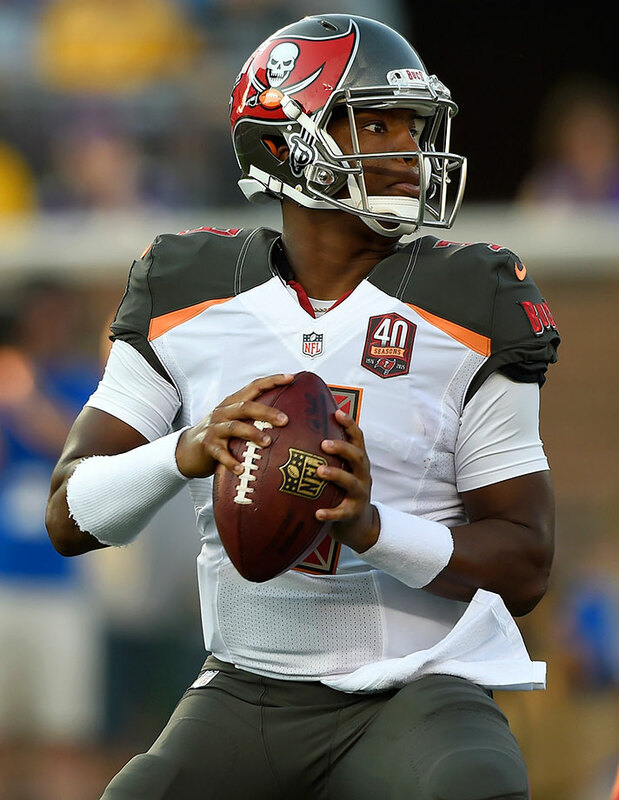 Coleman has an opportunity to win the starting job on a team with an offense that will be at worst above average, with a ceiling to be one of the 10 best units in the league. He’ll be playing his home games on the fast track at the Georgia Dome, and his main competition for the job is Devonta Freeman, who had all of 65 carries in his rookie season. Now, if only Coleman’s hamstring would cooperate. 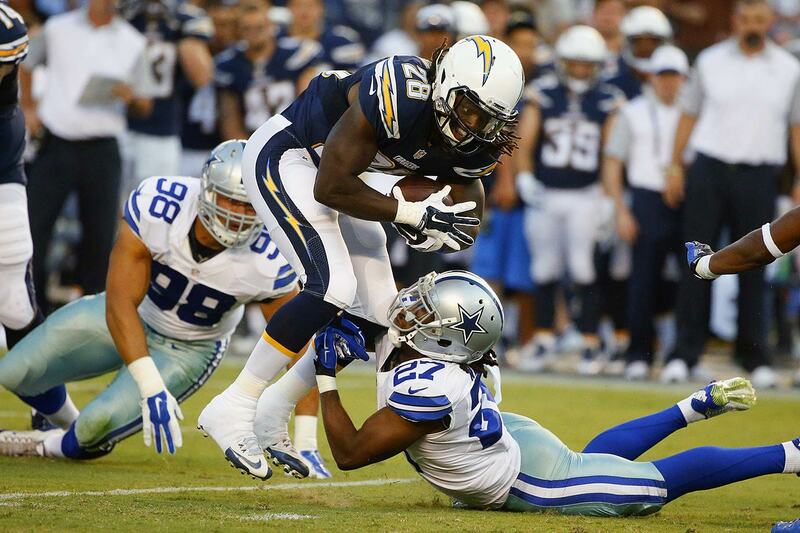 The 73rd overall pick in this year’s draft, Coleman undoubtedly has a ton of fantasy potential as a rookie. In his final season at Indiana, he ran for 2,036 yards and 15 touchdowns on 270 carries. Among Big Ten running backs—and remember that the conference sent five of its top six rushers to the NFL (Ezekiel Elliot of Ohio State is the lone back remaining in college)—only Melvin Gordon had more rushing yards last season than Coleman. Health will be the main question for Coleman this season. Training camp reps are precious for all rookies, especially a running back who will have to prove he can learn the team’s pass protection schemes. If Coleman’s hamstring forces him to miss too much time, the team may lean on Freeman in the early going, simply because he has a better understanding of the offense. 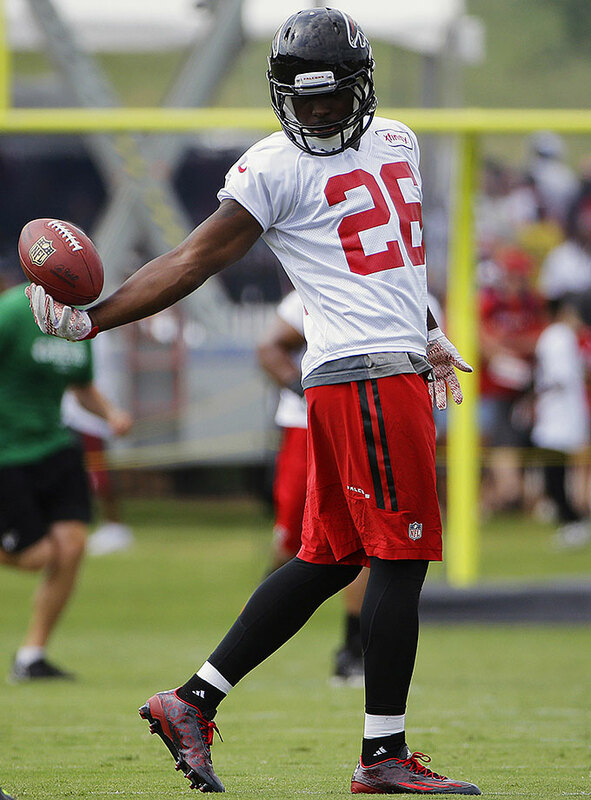 Freeman entered the league with a lot of potential last season after a successful career at Florida State, but he too is dealing with a hamstring injury that has cost him practice time at the beginning of camp. If and when both are healthy, they’ll likely engage in one of the more entertaining training camp battles this season. Regardless of who ends up as the starter, this is almost certain to be a timeshare. Antone Smith could have the most annoying of roles in the Atlanta offense, at least from a fantasy perspective. Just like last season, he could have a large enough presence to limit the ceilings of Coleman and Freeman, but not quite significant enough to make him fantasy relevant. Coleman should be drafted in every league, regardless of format. However, his slow start in camp coupled with the crowded backfield he enters add up to a restricted ceiling. Chances are he’s no more than a solid fantasy backup this year. When the Jaguars he drafted Yeldon at No. 36 out of Alabama, almost everyone assumed he’d be the team’s starter as a rookie. That assumption overlooked two key factors. First, Denard Robinson played quite well once the Jaguars turned to him as their starter last season. Second, Yeldon might be better suited to being a part-time back rather than a workhorse, especially as a rookie. There’s still a lot of time left before the first week of the season, but it appears that is exactly what will happen. ​Yeldon’s final season at Alabama was actually his worst. He failed to break 1,000 yards and scored a career-low 12 touchdowns. In three years with the Crimson Tide, Yeldon doesn't have an individual season that jumps off the page the way Melvin Gordon (2014), Ameer Abdullah (2014) or Todd Gurley (2012) do. The red flags don’t end there. 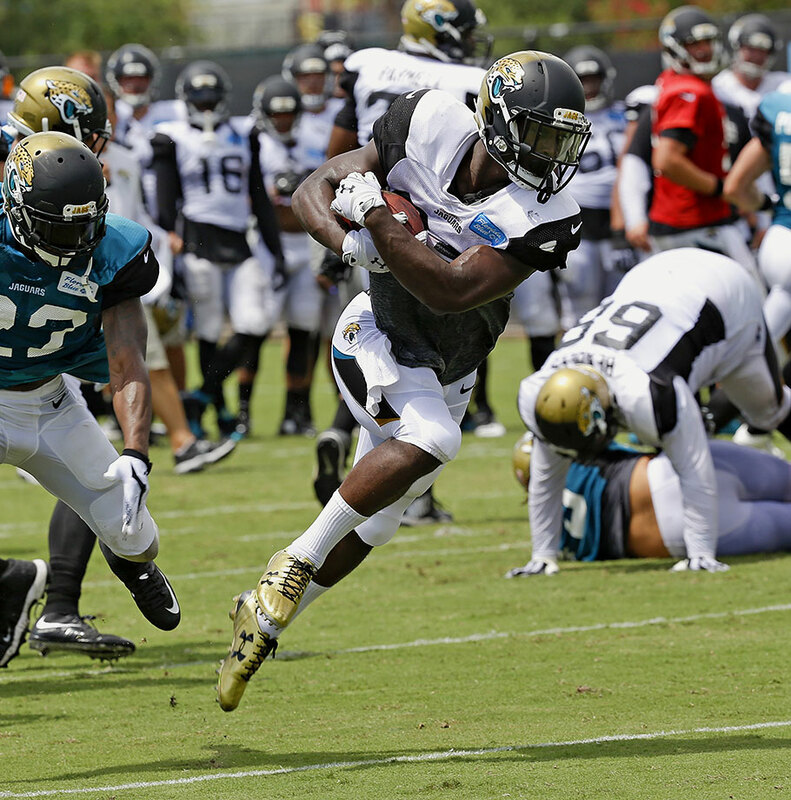 Yeldon ran just a 4.61-second 40-yard dash, which tied him for 14th among running backs. The combine is far from an exact science, but his overall grade of 5.36 translates to “NFL backup or special teams potential.” For comparison’s sake, Gordon graded out at 6.25, which is “instant starter,” while Abdullah’s 5.9 grade was just short of that status. Don’t sleep on what Robinson did when he was handed the reins in Jacksonville’s backfield last year. In his first four games as the starter, he ran for 489 yards and four touchdowns on 72 carries, scoring at least 11.8 fantasy points in each of those contests. Even if Yeldon were to start, the Jaguars wouldn’t cut Robinson completely out of the offense. This situation has timeshare written all over it, and it’s entirely possible that Robinson would be the leader in that split. Yeldon’s current 50.9 ADP, which makes him the 24th back off the board in a typical draft and has him ahead of the likes of Rashad Jennings, LeGarrette Blount, Golden Tate and DeSean Jackson, is simply far too high. 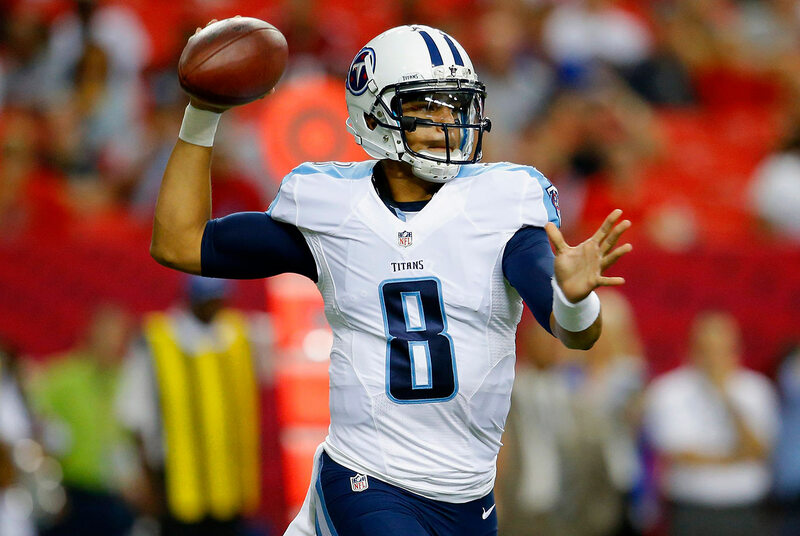 Marcus Mariota, QB, Titans: Mariota will start from Day One in Tennessee, and while there will be plenty of growing pains, he has enough upside to warrant attention in fantasy leagues of all stripes. He is especially intriguing in two-QB leagues. 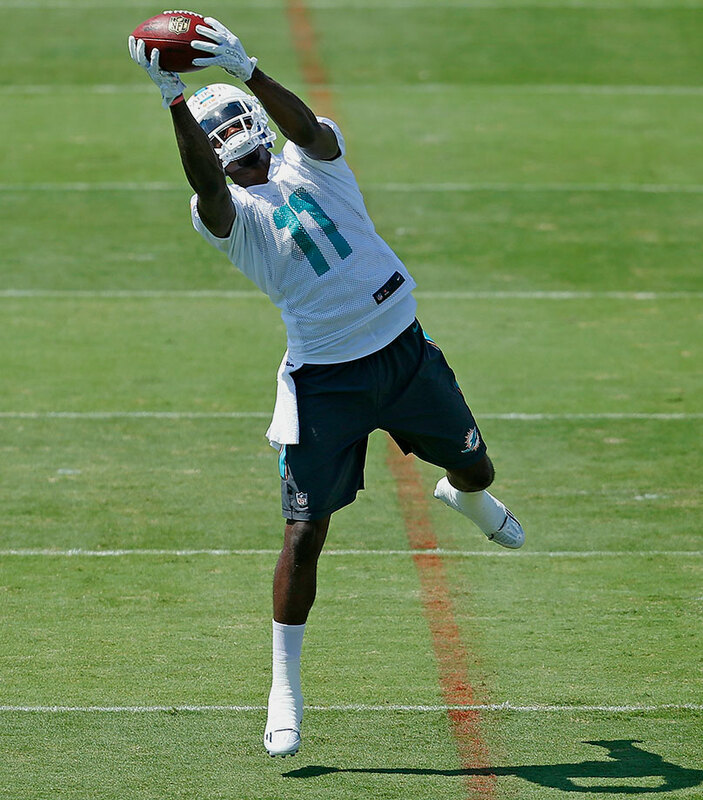 DeVante Parker, WR, Dolphins: Miami’s entire offense has breakout potential this season, and Parker, the first-round pick out of Louisville, could be a big part of that. He’d have more fantasy buzz if not for a foot injury, but now the 6'3", 218-pound monster can be the steal of your draft. If he’s healthy early in the season, he’ll create a large role for himself in Miami. ​Duron Carter, WR, Colts: Cris Carter’s son spent the last two seasons dominating the CFL with the Montreal Alouettes. The Colts’ depth chart at receiver is potentially the most crowded in the league, but Carter could very well emerge as the team’s third receiver ahead of Donte Moncrief and Phillip Dorsett. 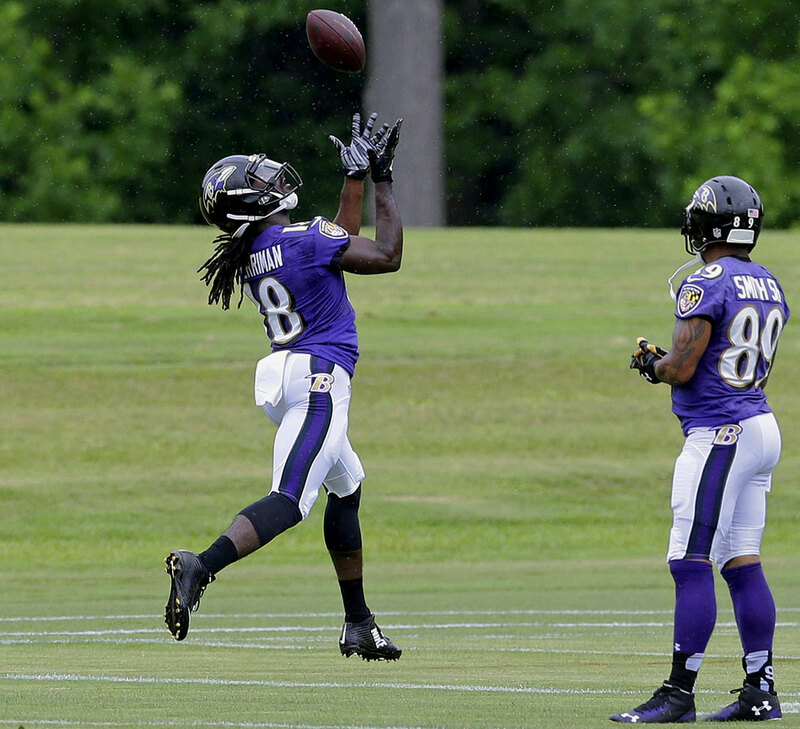 Breshad Perriman, WR, Ravens: Perriman is expected to start alongside Steve Smith, taking over for the departed Torrey Smith. He’s a true burner and becomes an immediate deep threat for Joe Flacco. Someone in every fantasy league should throw a late-round dart in his direction. David Cobb, RB, Titans: Cobb’s the fourth rookie running back from the Big Ten who should be drafted in all fantasy leagues. 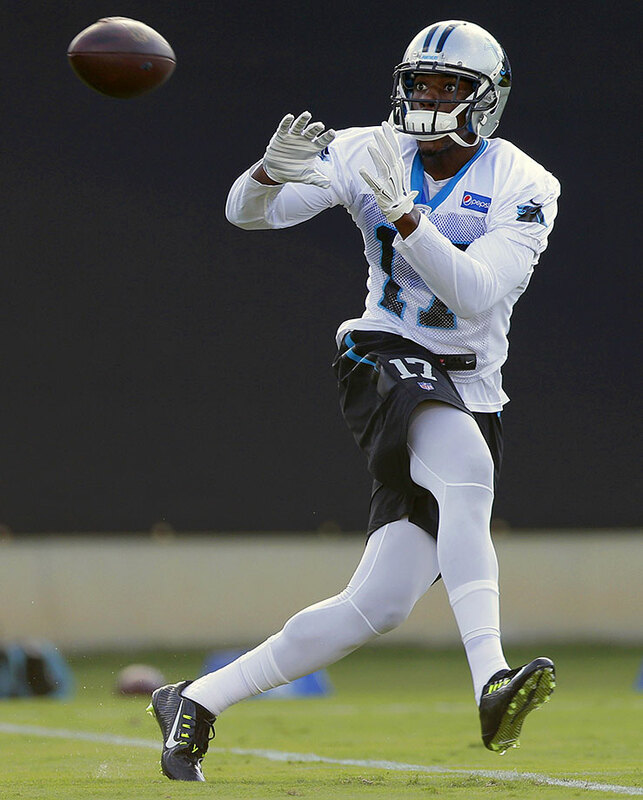 The Minnesota product is in a training camp battle for the starting gig with Bishop Sankey. Regardless of the outcome, both will have significant roles in the offense, but Cobb is more of a straight north-south runner who can be effective in short-yardage situations. 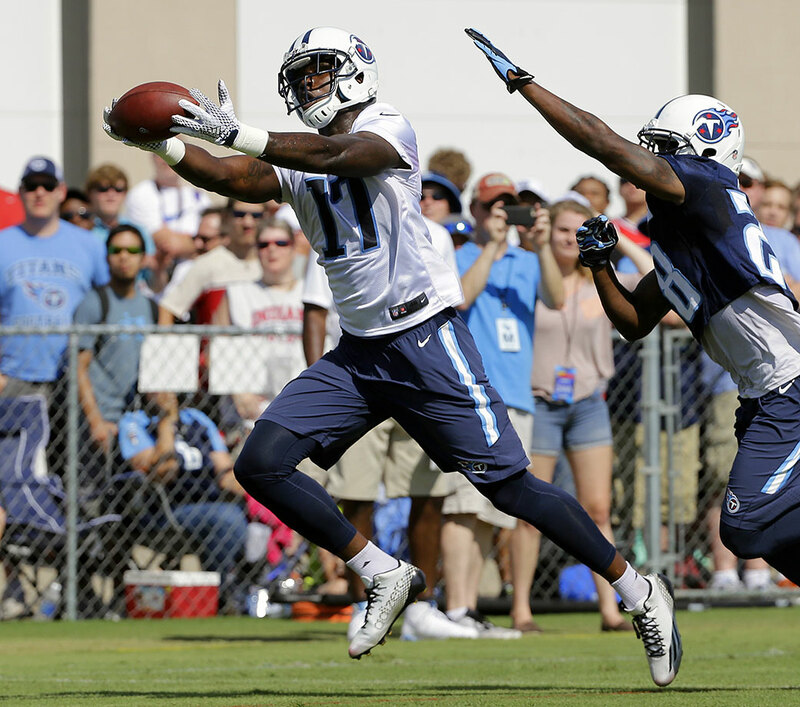 Dorial Green-Beckham, WR, Titans: There’s no doubting Green-Beckham’s natural talent. If he didn’t run into trouble in college, he likely would have been a first-round pick. The Titans don’t have anyone standing in his way at receiver, so if he proves himself—he’ll likely have to outplay Justin Hunter, since their skills are redundant—he could have a big role in the passing game.